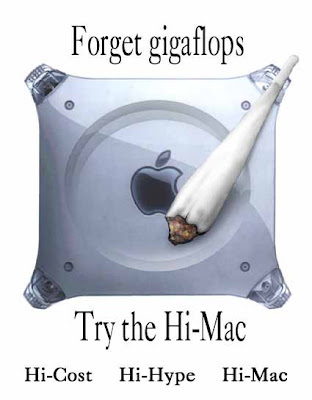 'Forget Gigaflops, try the hi-Mac. Hi-Prices, Hi-Hype, Hi-Mac'. Prices at a cost especially high for graphic designers and architects.